Hi, I'm Patti Hasner, BowWowsBest Founder and Owner. I adore dogs. They are so very special to me. They love us so unconditionally and give us so much pleasure. I just want to lavish them with everything that's the best and most beautiful. I know you feel the same way. Eight years ago, I could not find everything I wanted for my poodle puppy, Samantha. So, I opened my online boutique with everything in one place to lavish my Samantha with love. Today, I offer you everything you need to keep your dog safe, warm, beautiful, and clean. When you shop BowWowsBest.com, you get premium, stylish items of the highest quality, including luxury brands. I personally go to trade shows and examine every product I carry in my store. I only carry the highest quality items, so they will perform well and last. I buy my own products, too. My Samantha loves comfort and looking her beautiful best. When she and I love a product, I know you will, too. When you shop at BowWowsBest.com, I treat you as I would want to be treated while shopping. I answer every call and every email from you, within 24 hours. Do you need help deciding what to order or which size to buy? Contact me. Do you want something not seen on my website? I will look for anything you want from other sources, so you can benefit from BowWowsBest prices and personal service. If you order and the manufacturer has any changes or delays, I will notify you immediately. If necessary, I can help you select something else you'll love. Sam, on the left side of any page. Or you can call or email from the cart and checkout areas. I respond personally to all emails and phone calls, usually the same day. Every customer is very important to me and I want you to be satisfied with your purchase! However, if your items do not fit, you can contact me to return most merchandise within 15 days. I will help you select something else you will like or give you a store credit. 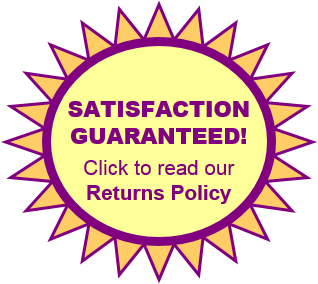 Click to see my Return Policy or some emails from my many satisfied customers. Along with my premium products and personal service, you will like my prices, which are often less than the competition. Since I have low overhead and carry the most popular items in stock, I pass the savings on to you. 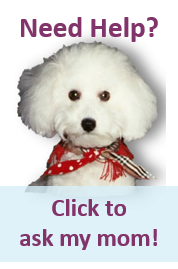 I invite you to browse my selection of premium dog clothing, formal wear, beds, carriers, and other items. Just click on the product you want at left. If you will like my help choosing or sizing, just let me know. P.S. Read messages my customers have sent me over the years on the Testimonials page.